If it was possible for me to eat enchiladas every single day of my life without gaining a zillion pounds, I think I’d do it. 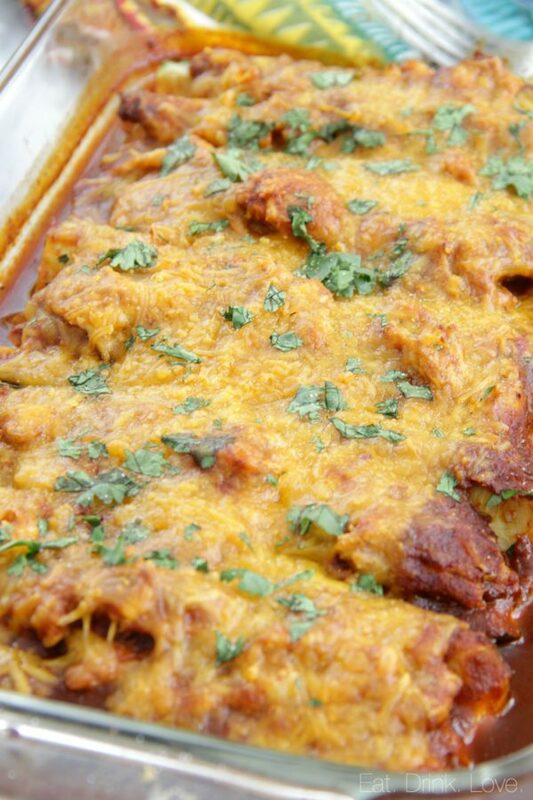 Enchiladas are, hands down, my favorite dinner. I just love the flavors of the sauce and cheesiness! They are just so dang good! 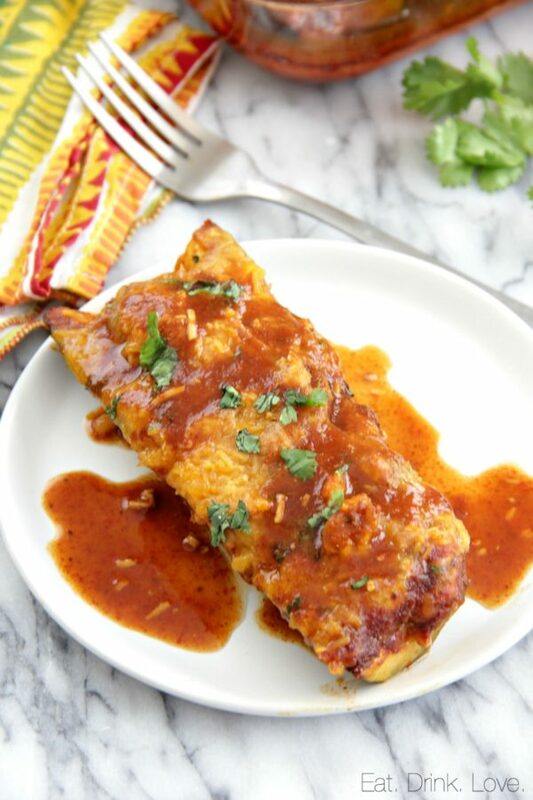 Obviously, eating enchiladas every day is not very healthy, but who says we can’t find a way to make them more guilt-free? Zucchini is such an easy low-carb alternative for swapping out the tortillas. It’s October! The best month of the year if you ask me! I have to admit I’m really glad September is over. It was a rough month in our house with everybody getting sick twice and my eye injuries. The weather is cooling off, the Halloween decorations are up and the Halloween movies have started! 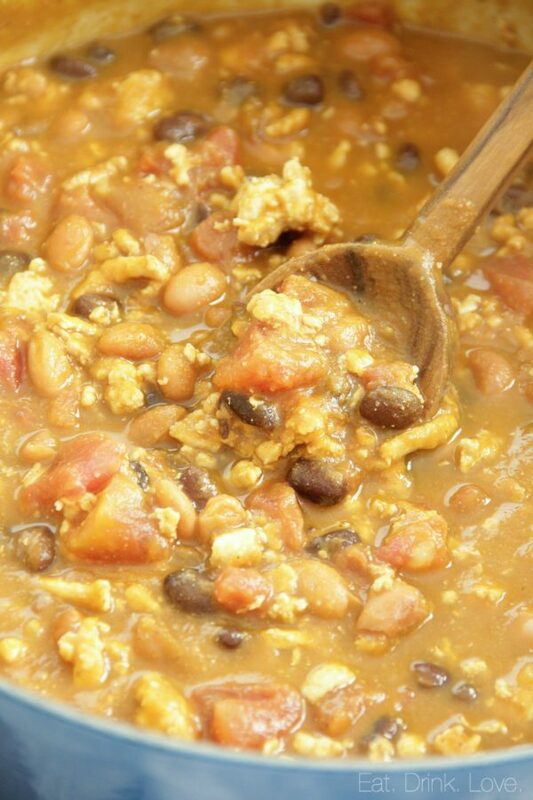 This time of year makes me crave chili. 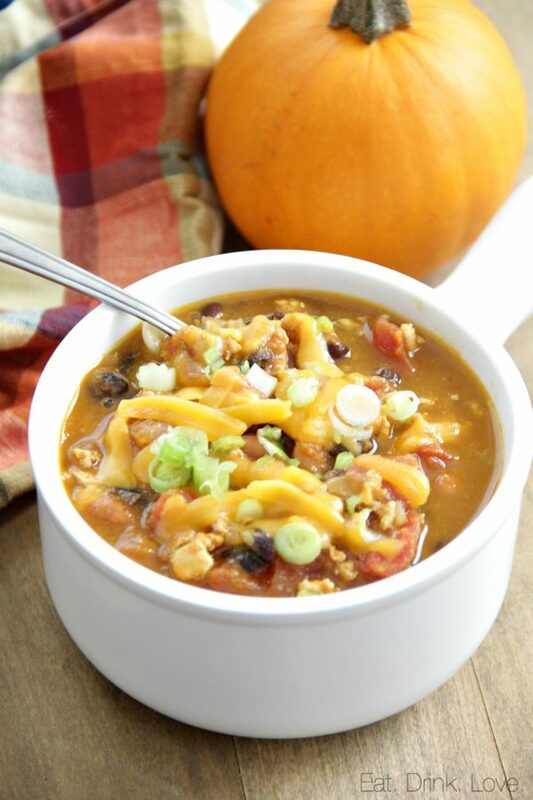 There’s nothing better than cozying up on the sofa in comfy pajamas, a good show or movie, and a warm hearty bowl of chili! You guys, it’s entirely possible we put up our Halloween decorations this week. You know us, we’ve been counting the days and could wait no more! I don’t make very many dessert dips, but the idea of a maple cinnamon dip just seemed too dreamy not to make. And you know, ’tis the season, and I had a huge bowl of my most favorite honeycrisp apples to enjoy! 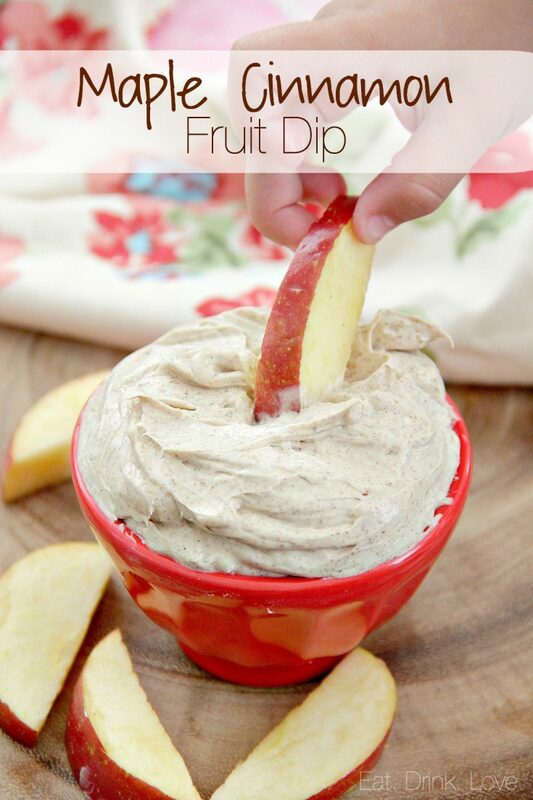 This fruit dip couldn’t be easier to make. First start with either some whipped topping. 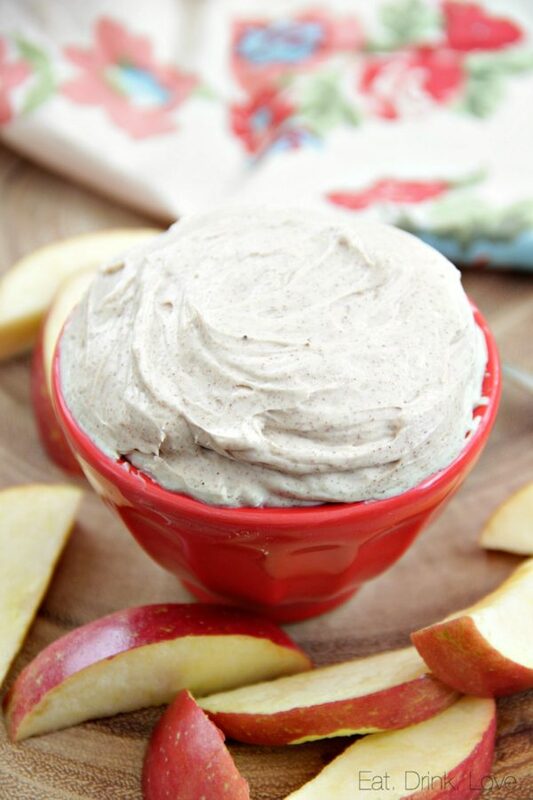 If you are opposed to whipped topping, you can also quickly whip up some homemade whipped cream to use (the dip may just be a bit softer). 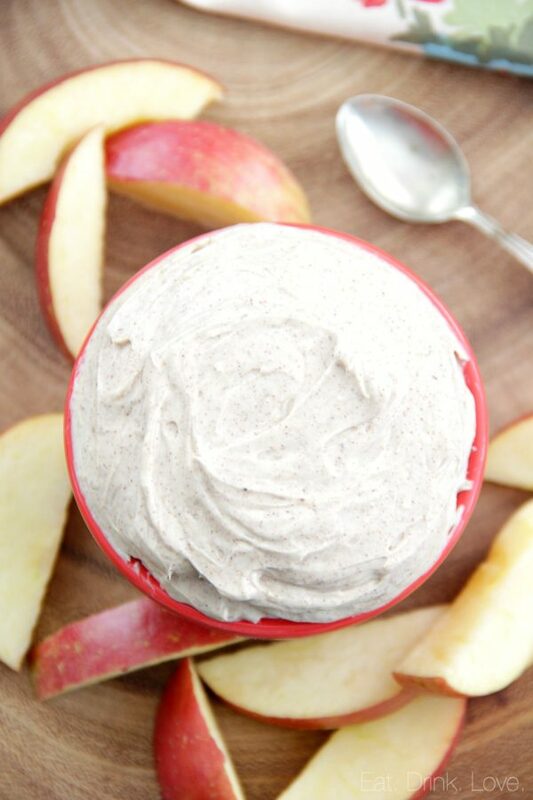 Then I add some cream cheese so really this dip tastes like maple cinnamon cheesecake! Oh yeah! Of course, you will also need some good maple syrup. I like to buy mine at Costco. I know it can be pricey, but it’s so worth it! 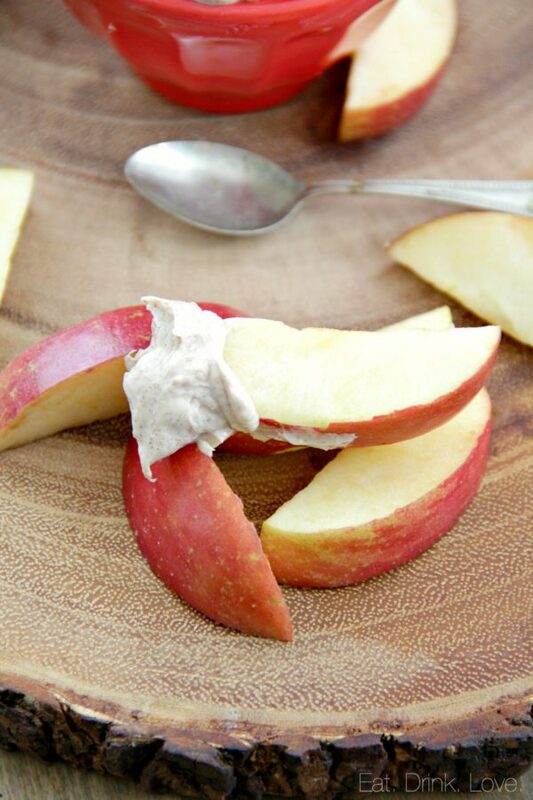 It adds such a warm and comforting flavor to the fruit dip and also acts as a sweetener. A touch of cinnamon and nutmeg and that’s it! This dip is seriously scrumptious and taking these photos was not easy because Maddie wouldn’t stop trying to eat it! 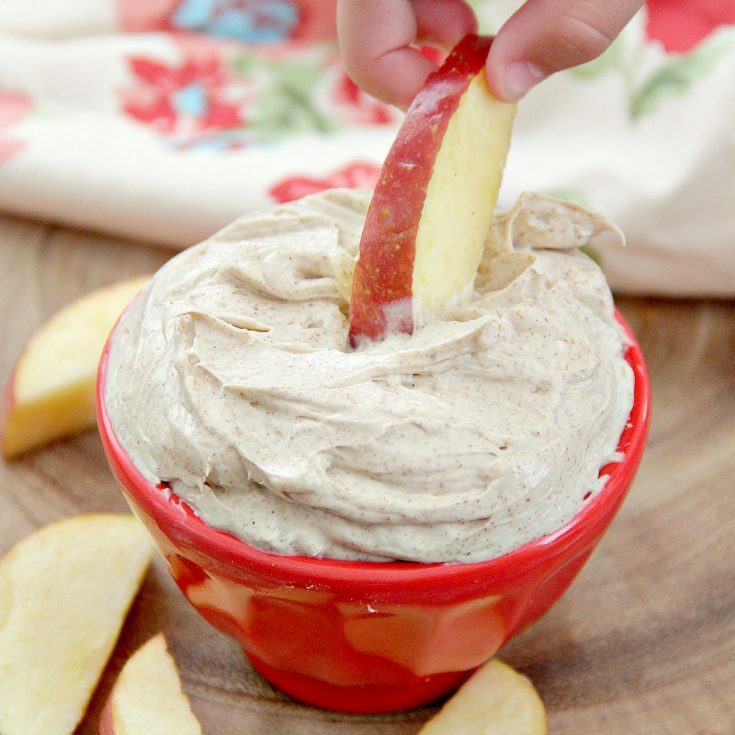 A simple and deliciously sweet fruit dip with warm fall flavors! In a mixing bowl, add the whipped cream, cream cheese, cinnamon and nutmeg, and the maple syrup. Beat together with a hand mixer until well-combined. Alternatively, you can also blend everything together in a food processor. 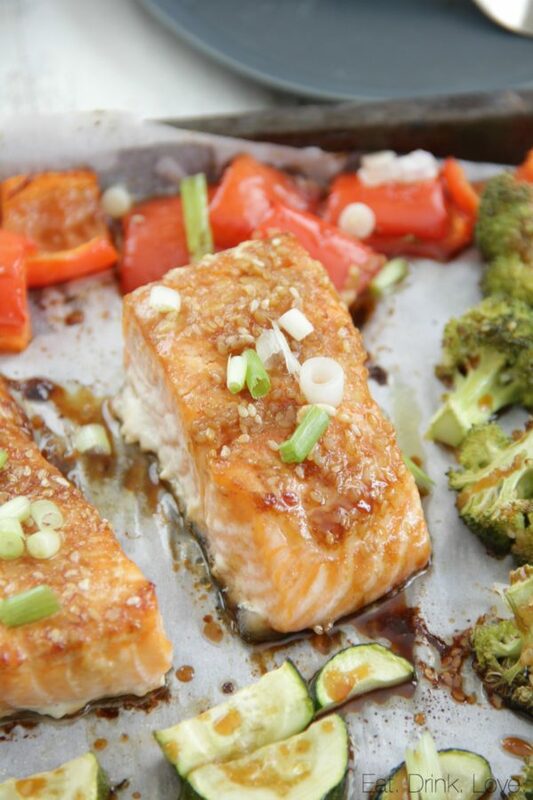 Serve with sliced fruit. Cover leftovers in a container in the fridge for up to 5 days. So last week I pretty much did the most awful thing I could have possibly done to my eyes. The girls were sick and there were three nights of basically zero sleep. I don’t know if my eyes just became really dry or what, but you guys, I somehow got tears in BOTH of my eyes. One of them was so incredibly painful, all I could do was cry. It felt like I was blinking against glass. I was obviously unable to look at a screen for a few days and am still on the mend. My vision is not fully restored in my left eye. It’s just been a nightmare! This story has absolutely nothing to do with these Swedish meatballs, by the way, I just wanted to share it since I haven’t written a life update in sometime! Ugh. 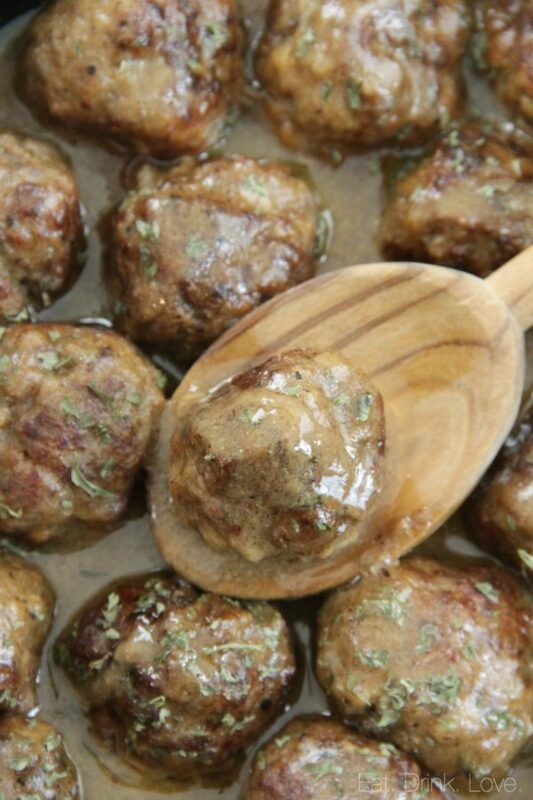 Let’s talk about the meatballs now, shall we? 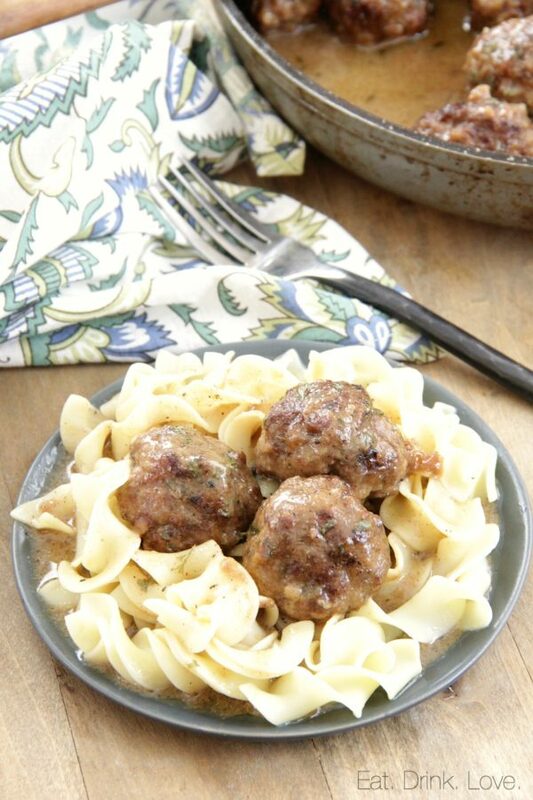 These meatballs, oh man, SO.GOOD. Like, better than I even thought that they would be. 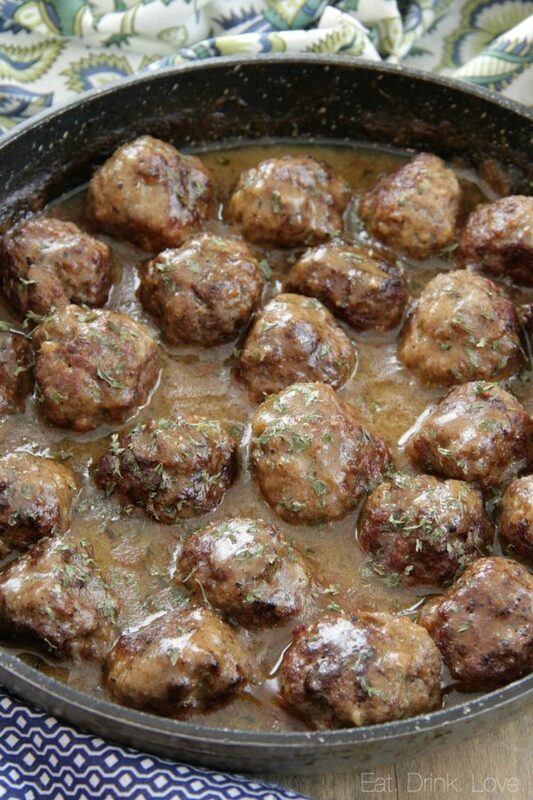 I’ve only ever had the popular Ikea Swedish meatballs once and sure, I suppose they were tasty, but it’s been so long. It seemed like a dish my husband would enjoy though so I’ve been wanting to try my own recipe. 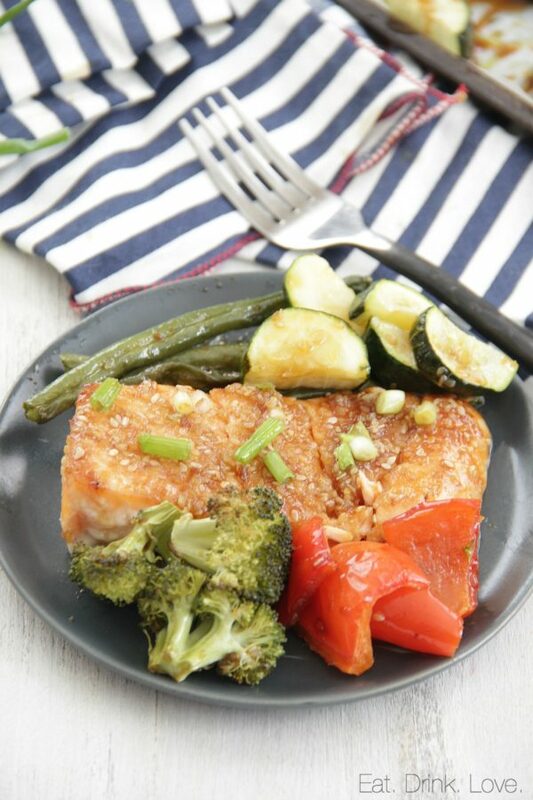 You may see from my photos that my sauce is not as light as other recipes. I took a taste of the gravy before mixing in the cream and it was so dang flavorful, I just didn’t want to add too much cream. All of the brown bits left in the pan from browning the meatballs gets mixed into the gravy and adds such nice flavor! It’s Fall, y’all. Okay, I know it’s not “officially” fall, but it’s close enough and I know a lot of you are ready. I know I’m SO ready so here begins all of the apple and pumpkin recipes! I just got my embarrassing order of fall Bath and Body Works candles so my house is also ready! 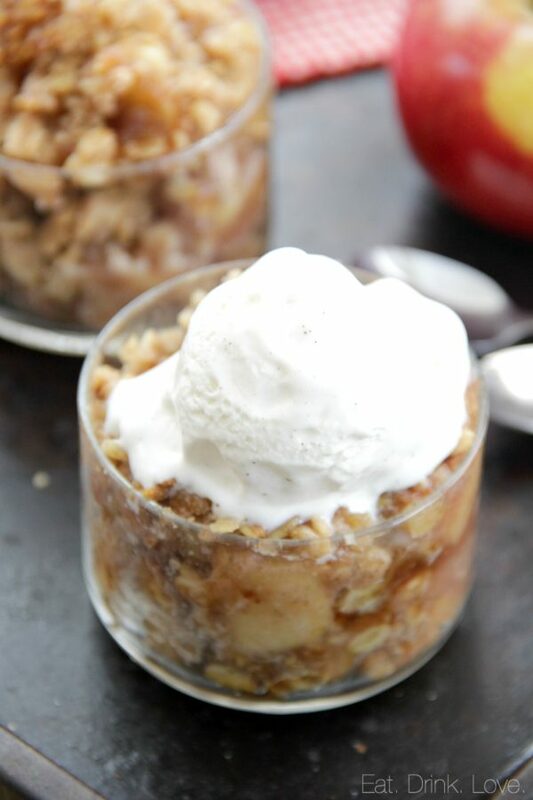 Apple crisp seems like the perfect dessert for this transition from summer to fall. Apples are enjoyable year round, but my obsession with them gets way more intense this time of year. 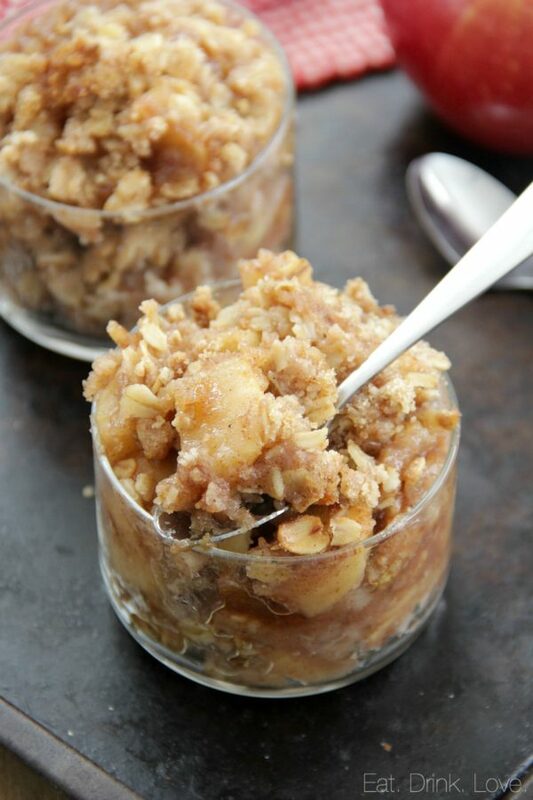 Apple crisp is such a comforting dessert for me and just makes me feel cozy and happy!